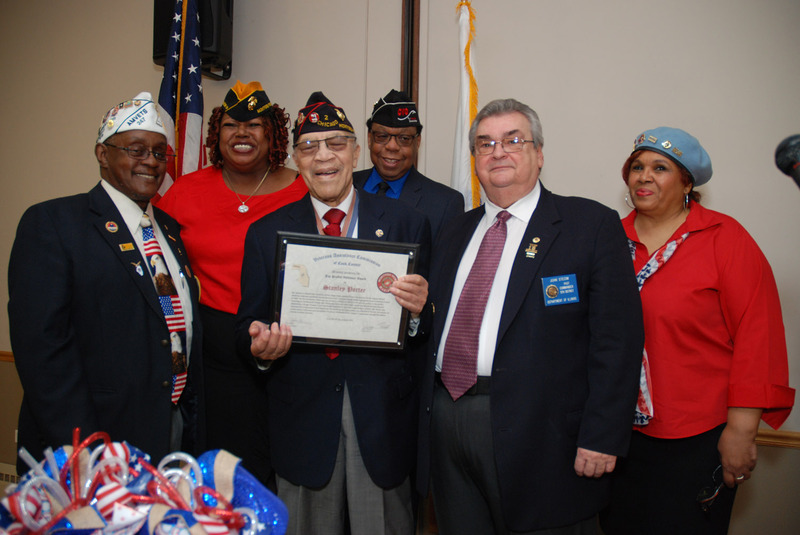 On March 24, 2018, the Veterans Assistance Commission of Cook County (VACCC) awarded Stanley Porter, United States Marine WWII, the Jim Proffitt Volunteer Award at the annual Corned Beef and Cabbage Awards Luncheon at the Ukrainian Cultural Center in Chicago. 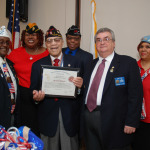 Mr. Porter is a World War II veteran of the United States Marine Corps. 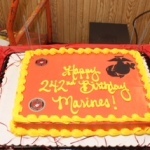 He was one of the original African American Veterans admitted into the Marine Corps. 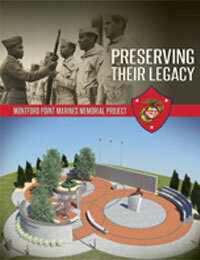 And was trained at the segregated camp of Montford Point in 1942. 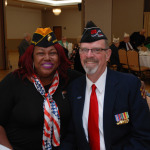 For the remainder of the war, he served in combat as a 90mm anti-aircraft gunner in the Pacific, including on the Marshall Islands. 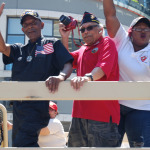 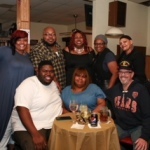 Mr. Porter has remained active both within the Montford Point Marine Association, Chicago Chapter 2, and within the Coalition of Veterans Organizations. 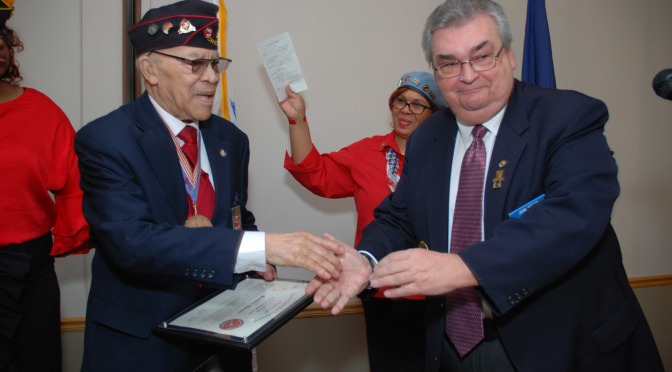 In 2011, Mr. Porter was active veteran advocate and exemplifies the finest attributes of the veteran’s movement through his selfless service to other veterans.